MANILA — September 22, 2017 — PayMaya, a pioneer and leader in mobile money and digital financial services in the country, in partnership with Facebook, is excited to announce a safe and effective new way for people in the Philippines to send money to friends, pay bills, and buy mobile load and data using Messenger. 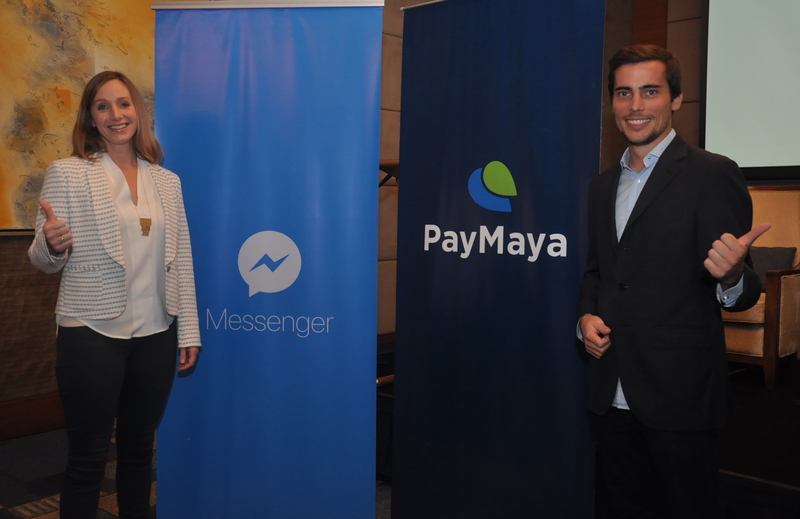 In photo: (left) Ginger Baker, Facebook Product Manager and (right) Paolo Azzola, PayMaya Chief Operating Officer. PayMaya has been leading the digital transformation of cities, schools, organizations, and communities in the country by enabling them with PayMaya cards and other digital financial services to disburse funds and other applicable benefits. Some of the LGUs that have stepped towards the cashless economies are the cities of Malolos, Muntinlupa, Balanga, and Catbalogan. PayMaya has transformed schools with the PayMaya School IDs–the first in the country–that enable students with IDs that work as a prepaid payment card at the same time. PayMaya recently enabled the acceptance of Mastercard contactless cards, RFID, and beep payments at NLEX, CAVITEX and SCTEX tollways. Founded in 2004, Facebook’s mission is to give people the power to build community and bring the world closer together. People use Facebook to stay connected with friends and family, to discover what’s going on in the world, and to share and express what matters to them. Facebook is a trademark of Facebook, Inc.